If you live in moose, mule deer and elk country, you know what kind of damage these big pests can cause. 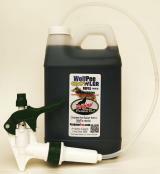 WolfPee Wolf urine is the answer! 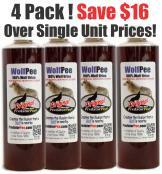 For the ultimate elk, moose, and mule deer repellent, buy wolf urine today! "The Wolf Urine really works so we are giving a bottle to a friend who has a bear visiting his bird feeder. 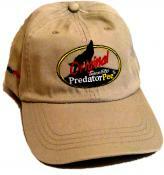 As for us, we haven't seen a coyote in the neighborhood for years now.